Dr Mike Pandey – globally honoured & renowned for his pioneering and landmark conservation work. He is India’s iconic wildlife conservationist and Environmentalist/Filmmaker. Mike Pandey has been working with single minded dedication for over 35 years to protect Wildlife & the environment in India. This, he has done successfully and made a difference. His outstanding efforts brought legislation to protect the whale shark not only in India under the wildlife Act 1972, but also globally along with protection for other species over the years. 5 times legislative changes have been brought in India through his powerful films. He was awarded the Rajiv Gandhi wildlife conservation award for his outstanding single handed work to protect Indian wildlife and heritage – without any support from any organization or institution using films to inform motivate and address policymakers and the common man. 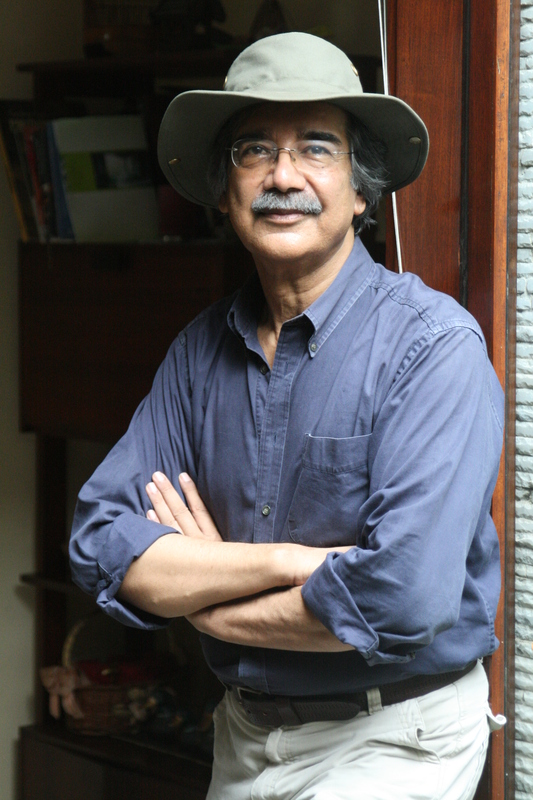 The International press – “The Time Magazine” USA, declared Mike Pandey a “Global Hero of the Environment 2009 in the Visionaries and leader categories. “Mike Pandey, a hero not only in India, but around the world. Pandey uses his talents to make films- films that have saved entire species, such as India’s vultures and whale Shark, the world the largest fish, from probable extinction. His history shows that one person can make a difference”. Laurinda Keys. Internationally renowned for his high caliber and powerful films, Mike Pandey is India’s most accomplished and iconic nature filmmaker, who uses films as a tool for spreading awareness on the protection and conservation of wildlife and environment at extreme grass root level-Guardian UK. Over 300 other National & International Awards. Three times green Oscar winner- world’s most prestigious award for his contribution to conservation of wildlife. UN Award – “Son of the Earth Award” for protecting a species from extinction of whale sharks. From China for protection of Global Heritage Whale Shark and the Living Fossil the horseshoe crab. Golden Giraffe: From France 2005, for making a difference and most effective conservation series in the world Earth Matters. Crystal Globe for using films as an effective tool, and making a difference globally. 100 Years History of the World: Global honor-by BBC, Discovery, National geographic etc. In 2008 He was honoured by BBC and Wild Screen – a global body as one of the five outstanding individuals who had made a difference to the planet by their work in the last 100 years of natural history films. David Attenborough, Mike Pandey along with others were honoured by the Global Jury for making a difference to the Planet through their work. . In words of Sir Attenborough- “The world needs films, conservation films- like the ones Mike Pandey makes. Earth Matters his Environmental & wildlife educational TV series telecast on DD National and DD Network in Hindi & other languages reaches 800 million people across India weekly through DD National. The programme has been going on for almost 13 years. The progrmme has led to formation of over 4000- Earth Matters Nature Clubs in rural areas across India. Dr Mike Pandey is Chairman of Earth watch an NGO working with scientist to bring citizen’s science to common people in rural areas. Simplified and easy so as to establish the link between our lives and nature. Working in Western Ghats-on climate change and forests. Also working with Pant University –on Himalayan Ecology, Bees & Agriculture.